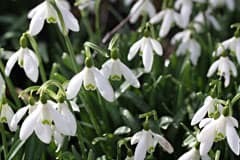 Have fun reading these fascinating insights into the start of spring, the International Day of Happiness, the spring equinox, the colours of spring and unusual, joyful customs. Simply click on the headings which interest you most. Enjoy! 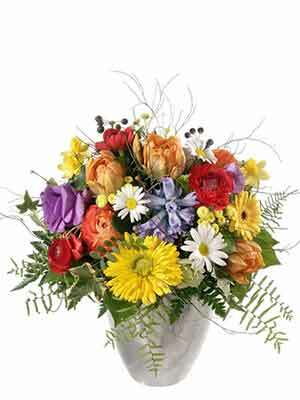 20 March: Oh Happy Day! Yellow? 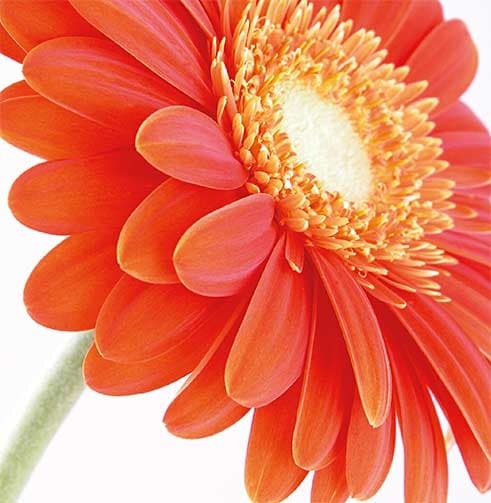 Goethe called it the "colour of the heart"
Orange: the colour of vitality and joie de vivre! How about enjoying a first, second and even a third start to the spring? The choice is yours: for meteorologists, spring starts on 1 March. 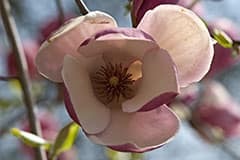 For astronomers, and hence on our calendars too, spring begins with the spring equinox, which happens when the sun – seen from the Earth – crosses the celestial equator from south to north. That takes place between the 19 and 21 March each year. 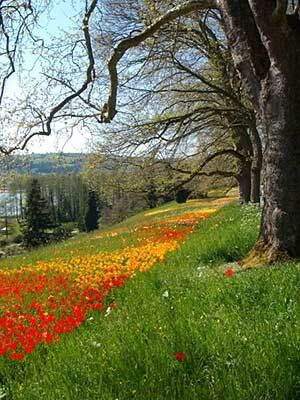 Phenological spring, on the other hand, does not start until nature is good and ready. 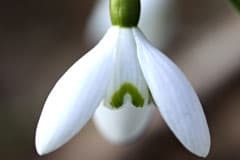 In our climes, it is when the first snow drops appear, for example. Spring comes to south-west Portugal first, and does not arrive in Finland until the end of May. It takes some 90 days to cover the distance of around 3,600 kilometres, which means spring moves across Europe at a speed of about 40 kilometres per day. And another thing: calendars now show the astronomic date as the start of spring. In the past, however, it was always the 21 March. That was the date originally set at the Council of Nicaea in AD 325. The Council actually met to decide on the date of Easter, but as that was always supposed to be celebrated on the first Sunday after the first full moon following the start of spring, setting that important date was the first priority. All clear? 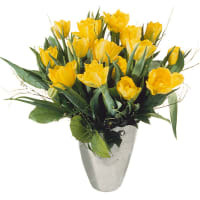 See our tips on caring for tulips, narcissi and other spring flowers HERE. 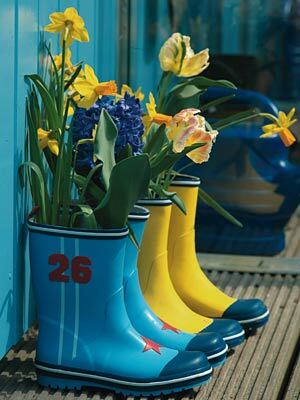 It’s spring every day with us! 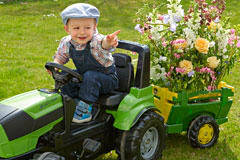 See our spring flowers HERE. 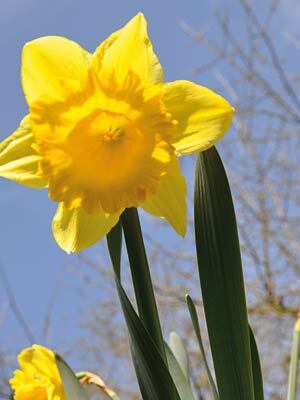 For astronomers, spring starts between the 19 and 21 March, because that is when the spring equinox takes place. 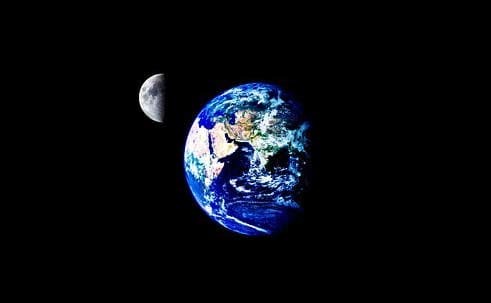 That is the magical moment when the length of day and night are exactly the same the world over. Astrologists found this out very early on, and in many cultures this day has become a symbol of fertility, renewal and rebirth. 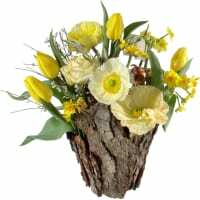 The event was celebrated in a spirit of great hope, and was dedicated to the goddesses of spring and vegetation. 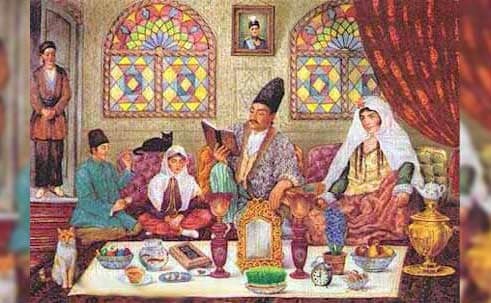 In certain calendar systems, this date also marked the start of the new year – e. g. Nowruz (literally "new light"), the name of the Iranian new year, which is still celebrated today. The UN General Assembly recognised the International Day of Nowruz in 2010. 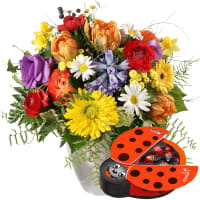 Let friends know spring has arrived with flowers! Visit the shop HERE. The International Day of Happiness is celebrated on 20 March too. It was created by the United Nations because the quest for happiness is something that unites all human beings. 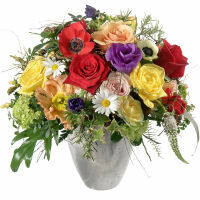 We all want good health, loving parents, loyal friends, fulfilment, peace and freedom. But in a country like Switzerland, where so much is possible, it’s sometimes easy to forget that many others around us live a completely different reality. Perhaps we could use this Day of Happiness as an occasion to think about ways of reaching out to encourage others who are less fortunate. According to the World Happiness Report published by the UNO, the happiest people live in Denmark, with Switzerland in second place. 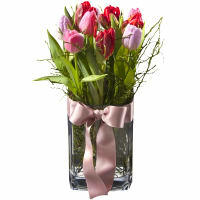 Flowers make us happy too! Visit the shop HERE. 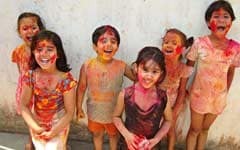 In India, when the two to ten-day Holi Festival takes place, spring has arrived! 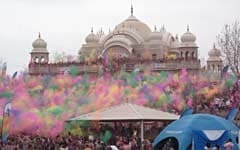 People in India are just as pleased to see the back of winter as we are, and celebrate the arrival of spring in joyful, boisterous style, smearing their skin with colourful powders, throwing buckets of brightly dyed water from balconies and generally having a good time. On the first night of the festival large bonfires are lit to burn a straw effigy known as Holika. The effigy symbolises a demoness who, according to legend, sat in a burning fire with the King’s son in her lap, intending to kill the child. But the Hindu god Vishnu intervened to protect the child whilst Holika burned to death in the flames. The festival celebrates the victory of good over evil (and spring over winter). Holi is also a time to bury old disputes and make up with enemies. 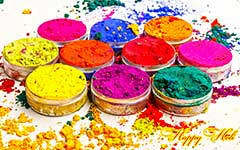 This joyful festival of colours is now celebrated in many countries around the world, and also in Europe – although here it is more of a party style event. 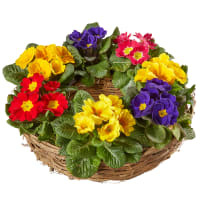 Admire the beautiful colours of our spring flowers. Visit the shop HERE. 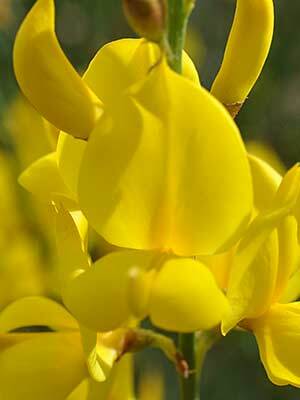 Have you ever noticed how many yellow flowers there are in spring? 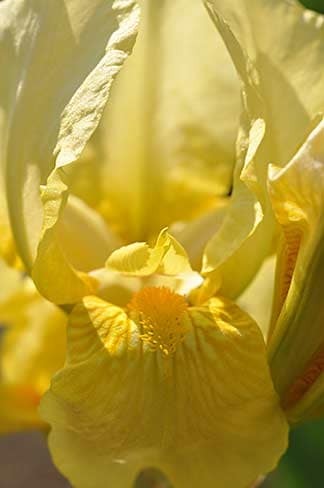 Yellow is indeed omnipresent in nature, and not only because we love to see this sunny colour after a long and dreary winter. 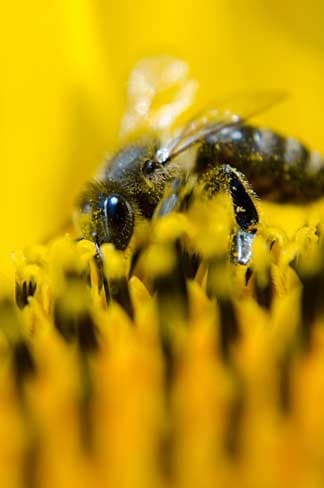 Insects such as honey bees, bumble bees and butterflies are "addicted" to yellow as well. 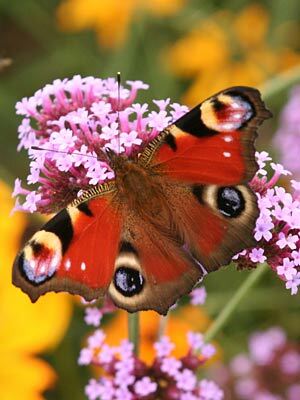 And since these insects play such an important role in the pollination of wild and cultivated plants, nature has no doubt found a way of coaxing them into starting work by attracting them to their favourite colour in the spring. We also react positively to yellow. 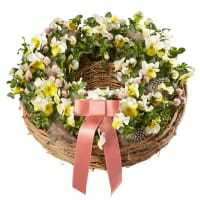 It makes us feel buoyant and cheerful, inspires a zest for life, fills us with vitality – in short, is a fabulous all-rounder which gives us wings. According to colour psychologist Max Lüscher, yellow also stands for change, whilst Goethe, in his "Theory of Colours", calls it the colour of the heart. Perhaps that’s why yellow stood for the bride’s consent in ancient German colour symbolism? Well, many brides certainly wore a yellow veil at their wedding in the old days. 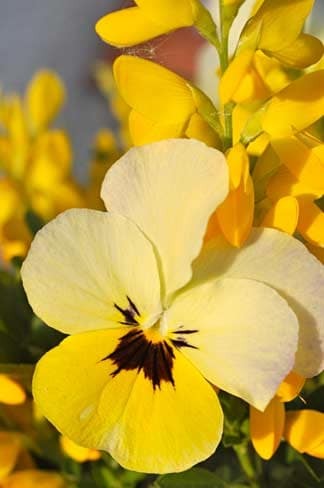 In other words: if you want to let your heart do the talking in spring, if you long to feel the sun in your heart, if you need cheering up or a bit of a boost, then bright yellow flowers are exactly what you need! Find out the meaning of the most important colours HERE. Looking for something vibrant, sunny and cheerful in yellow? See our suggestions HERE. When we hear the word "crocus" we automatically think of that cheerful spring flower which adds a splash of colour to our bare fields and meadows. 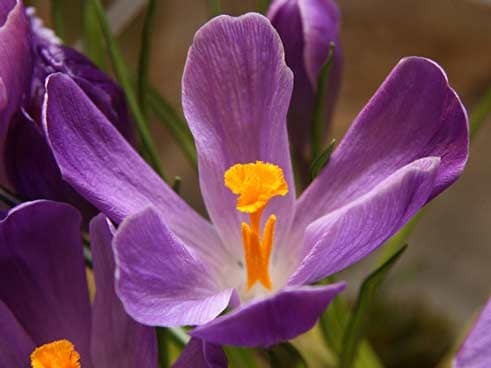 We tend to forget that other varieties of crocus exist too, growing here in Switzerland, as well as elsewhere in Europe, in North Africa and even in the Orient. 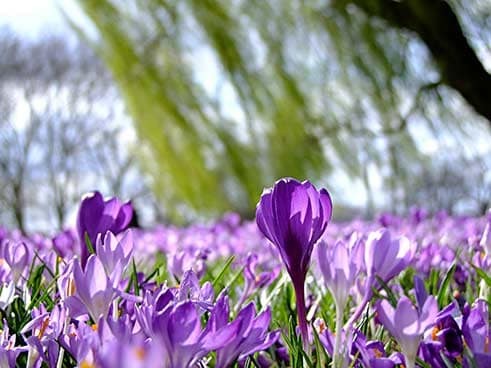 Crocus sativus, for example, from whose stigmas saffron is obtained. 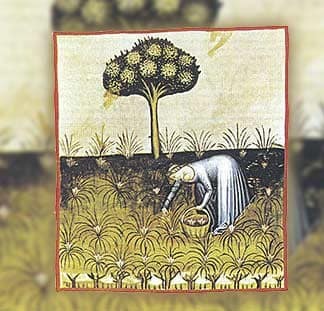 Nowadays, saffron is used as a spice, but it was also employed as a dye in the past. The name is derived from the Arabic "za’farãn" (for "be yellow! 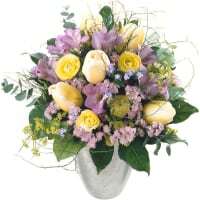 "), and its yellow was a symbol of light, gold and love. Genuine saffron remains a very expensive product, but in the past it was an absolute luxury item. 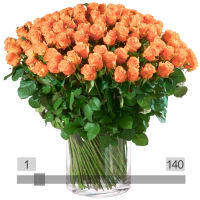 No wonder: it took some 150,000 blooms to produce a single kilogram. 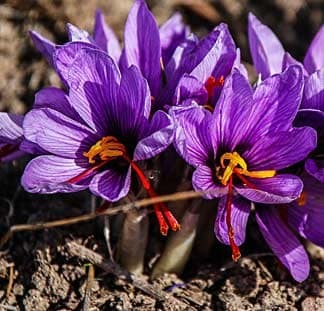 The flowers were harvested entirely by hand and the saffron crocus blossomed just once a year. Vendors of fake saffron ran the risk of high penalties. The robes worn by kings and gods were often dyed saffron yellow, and rich Romans scattered saffron strands across their nuptial beds, or used them in their bath. 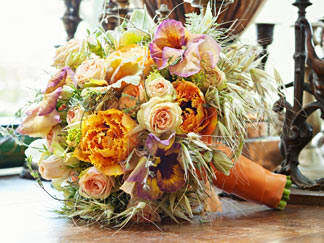 In many cultures, wedding veils were traditionally dyed yellow with saffron. It was also used to imitate gold lettering or make tin and silver look like gold. 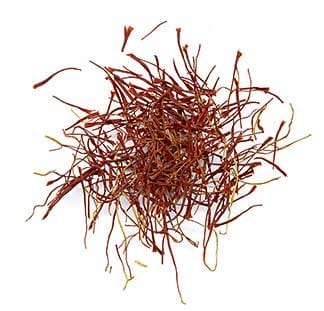 In ancient China, the dye obtained from saffron was thought to embody bliss, fame and wisdom. 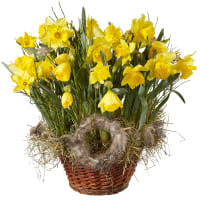 Browse our yellow spring flowers HERE. If sunshine and birdsong haven’t yet managed to rouse you from your winter slumbers, you should try some orange-coloured flowers. 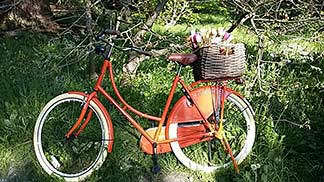 Brimming with vitality, orange is sensual, optimistic and full of joie de vivre. It boosts our confidence, makes us more open-minded, lifts our mood, stimulates our appetite and helps us to enjoy each moment to the fullest. People who like orange are seen as sociable and cheerful. 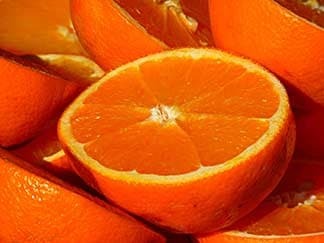 Orange is also used in colour therapy to reinforce the immune system and to activate the body’s own defences. 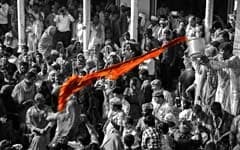 In the past, orange was not regarded as a colour in its own right, which explains why Goethe used to talk about yellow-red. But that did not stop people from making good use of this colour. In ancient China, for example, it symbolised change, and in Buddhism, it represents the highest level of human enlightenment. Speaking of orange: the colour was named after the citrus fruit of the same name, originally from China, and probably evolved from the Dravidian word "nãram". In Sanskrit that became "nãranga", in Arab communities "nãrandsch", and in Old Provençal, the fruit was called "auranja", from which the name of the colour is believed to have emerged. Speaking of orange: the colour was named after the citrus fruit of the same name, originally from China, and probably evolved from the Dravidian word "nãram". In Sanskrit that became "nãranga", in Arab communities "nãrandsch", and in Old Provençal, the fruit was called "auranja", from which the name of the colour is believed to have emerged. 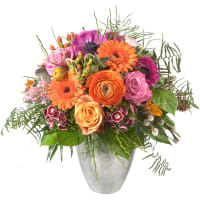 Browse our sensual, optimistic flowers bursting with joie de vivre HERE. For a long time, orange was not recognised as a colour in its own right, and was simply referred to as yellow-red. Yet people from many different cultures spared no effort in trying to reproduce this colour. 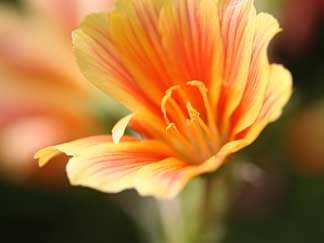 The Indians, for example, who used safflower petals to make a brownish shade of orange. Or the deeper "Indian yellow" obtained from the urine of cows fed with mangoes. The natives of Central and Southern America used the seed pods of the annatto bush to make a wonderfully luminous orange which the men used for ritual body painting. 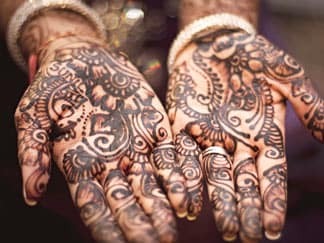 The Egyptians, Greeks and Romans were the first to use the leaves of the henna tree to make orange powder. The dye produced in this way varies between light orange and dark mahogany red-brown, and is used not only for colouring hair, but also for the hands and soles of the feet. And then there is the brilliant orange made for the first time by the Romans using minium (red lead). The Romans mixed it into the sand during gladiator fights to mask the bloody signs of combat. It was later used as artists‘ paint and, until recently, also as an anti-rust primer. 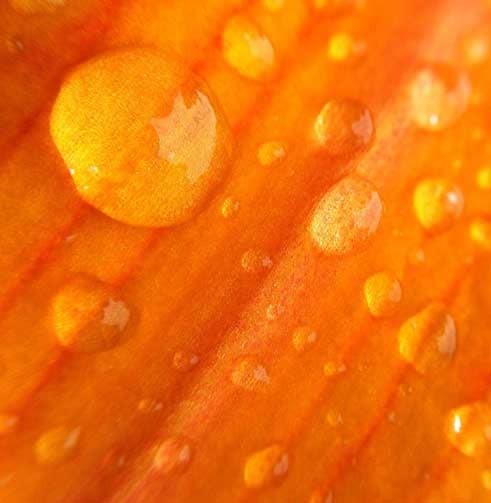 For a long time, orange was not recognised as a colour in its own right, and was simply referred to as yellow-red. Yet people from many different cultures spared no effort in trying to reproduce this colour. 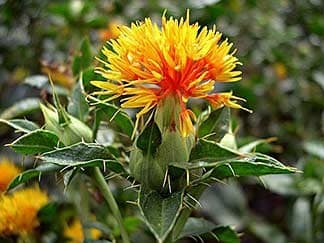 The Indians, for example, who used safflower petals to make a brownish shade of orange. Or the deeper "Indian yellow" obtained from the urine of cows fed with mangoes. 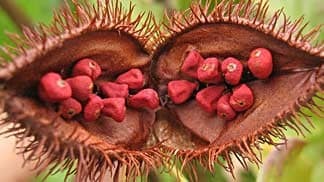 The natives of Central and Southern America used the seed pods of the annatto bush to make a wonderfully luminous orange which the men used for ritual body painting. 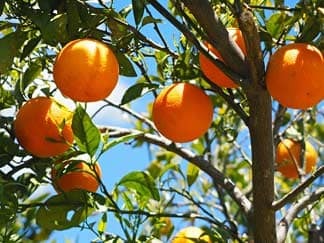 The Egyptians, Greeks and Romans were the first to use the leaves of the henna tree to make orange powder. The dye produced in this way varies between light orange and dark mahogany red-brown, and is used not only for colouring hair, but also for the hands and soles of the feet. And then there is the brilliant orange made for the first time by the Romans using minium (red lead). The Romans mixed it into the sand during gladiator fights to mask the bloody signs of combat. It was later used as artists‘ paint and, until recently, also as an anti-rust primer. See our orange-coloured inspirations HERE.